Our Year 9 Open Evening is happening on Wednesday 8th May. Due to demand we are running two sessions – please come along to our Student Centre Cafe at either 4.30 pm or 5.30 pm. 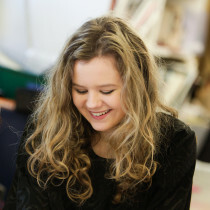 Enrolment begins with the Open Evening on 8th May and closes on Friday 21st June. We would advise all applicants to apply as soon as possible. If you would like further information, or to request an enrolment pack, please contact Lisa Amer on 379 3090 ext 884 or lisa.amer@staff.hagley.school.nz. 1. 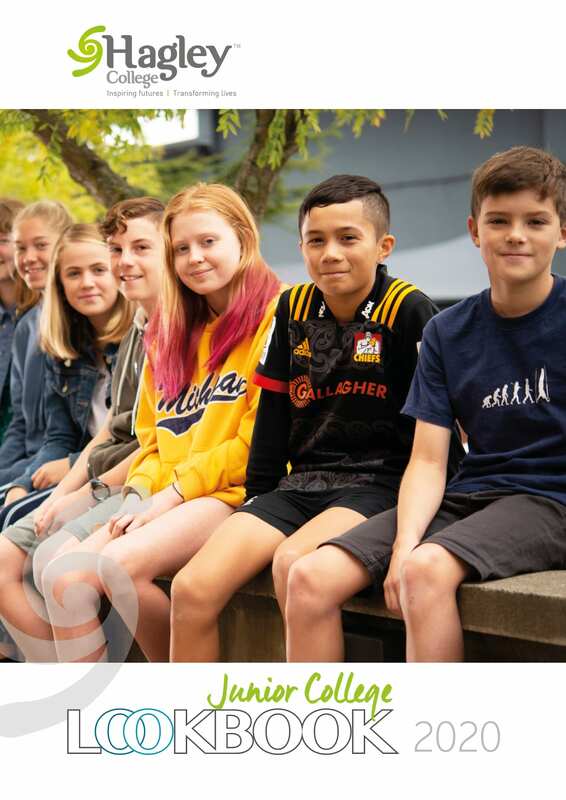 Please contact Lisa, our Student Administrator, on 379 3090 ext 884 or lisa.amer@staff.hagley.school.nz to request an enrolment pack and this will be emailed or posted out to you. 2. Completed enrolment forms can be posted to Junior College Enrolments PO Box 3084 Christchurch 8140, dropped in, or emailed to Lisa. A statement supporting your application written by another person (this could be from a sports coach, church group leader, family friend, teacher, etc and is helpful in determining if the student meets our Designated Character School Criteria). Providing these documents will strengthen your application. If you are having trouble getting hold of some of these and you want to get your enrolment in ASAP, don’t panic! We are happy to take your completed enrolment form and receive the rest of the requested documents at a slightly later date. 3. Our Enrolment Committee will look at your application and decide whether you meet our Designated Character School Criteria. Depending on enrolment numbers, we may need to have a ballot to allocate places. If this is necessary, the ballot will be drawn on Thursday 4 July. You will receive a letter confirming if you have been accepted and we will ask you to return an acceptance slip so we know you are definitely coming to Hagley next year! 4. We will contact you about the next steps in your enrolment. This will include a pre-entrance assessment as well as an interview on a separate occasion where you will have a chance to discuss your child’s learning and for us to get to know one another ahead of next year. 5. If you have been accepted into the Junior College we hold an Orientation in Novemberfor all new Year 9 students and their parents/caregivers. You will meet your form tutor and classmates, and learn about the Junior College ready for next year. Places will only be offered to those applicants who meet or have the potential to meet, the designated character requirements. On offer of enrolment, the applicant family is required to sign the ‘Confirmation of Enrolment’ form to confirm their acceptance, and affirm their understanding and support of the College’s designated character. a) Demonstrate a commitment to Hagley’s values of trust, respect, integrity and personal responsibility. b) Demonstrate a willingness to engage in Hagley’s culture and environment of being adaptable, flexible and working collaboratively. c) Give the College confidence that they can be supported and that the College can make a difference to their learning. d) Identify and agree with the College that there is a programme of learning that meets their learning needs. e) Be offered a place in an agreed programme of learning only if there is space available in that programme of learning. Priority must be accorded to applicants for whom the school is reasonably convenient (reasonable convenience for this enrolment scheme is defined as being the old Christchurch City boundary prior to amalgamation with Banks Peninsula District Council). (a) First priority must be given to any applicant who is the sibling of a current student of the school. (b) Second priority must be given to any applicant who is sibling of a former student of the school. (c) Third priority must be given to any applicant who is a child of a former student of the school. (d) Fourth priority must be given to any applicant who is either a child of an employee of the board of the school or a child of a member of the board of the school. (e) Fifth priority must be given to all other applicants. If the number of applicants exceeds the number of available places in any one priority group then applicants will be balloted and allocation of places will be in ballot order. Applicants on the waiting list will be offered any places that become available before the next ballot. The waiting list will remain in place until the next advertised enrolment period. There are a maximum of 125 places available in Year 9 for 2020. Places are extremely limited for special/learning support programmes – our Junior Targeted Learning class is very small and spaces for new students are limited to 2-3 places per year. Please be aware, there may be no Year 10 places available for 2020. Get more of a feel for the Junior College by viewing our 2020 Junior College Lookbook.